Feedback from some of our current and graduated students. 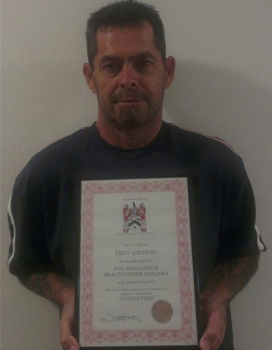 “This course has been an excellent learning curve. I have enjoyed every single unit as each one is so very different and very informative. It has helped me so much in my role as a dog trainer and a dog owner. 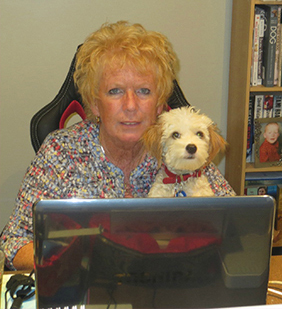 I now look at the whole picture when I go to see a dog with behavioural issues and am confident that by asking the correct questions I will do what is best for both dog and owner.” Susan Jones, Pack Leader Diploma Graduate, Tauranga, New Zealand. 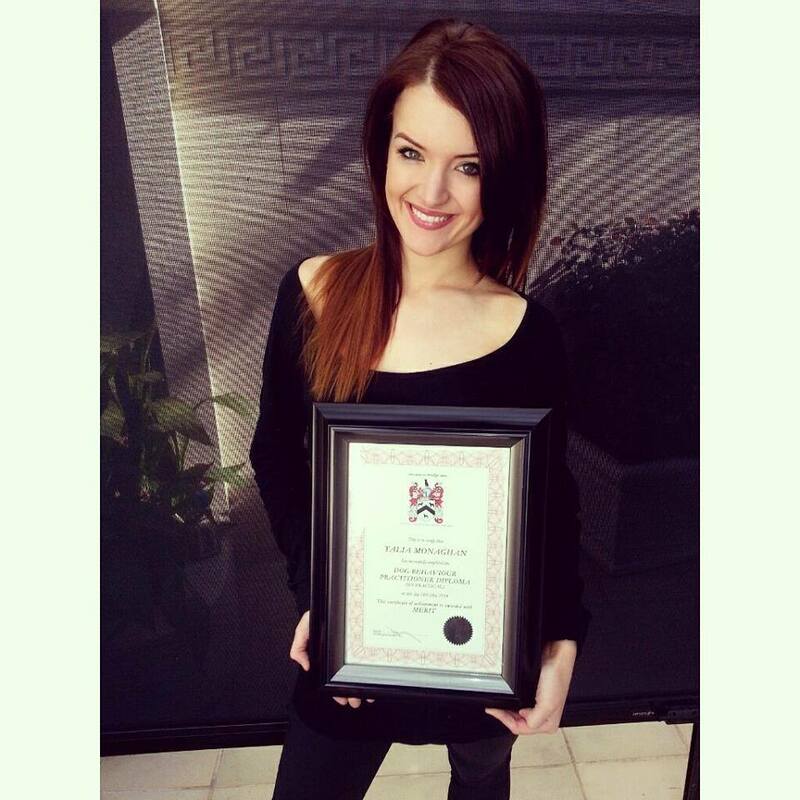 “I have just completed the Behaviour Practitioner Diploma course. It has taken me just over a year to complete and I have to say it has been the best thing that I could have done. I have learned so much and it has given me the knowledge that I need to start my own canine behaviour business . The practical, which is at the end of the course, was the best day ever. My tutor was very supportive. I cannot fault the college or the course at all, and I would urge anyone who is thinking about doing a course through them to do so. You will not regret it. 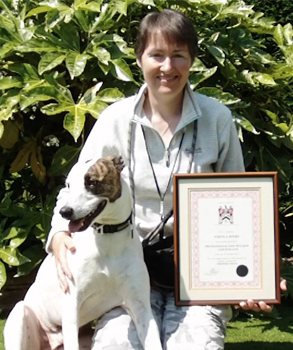 The ‘BCCS’ is the only choice in my opinion.” Nicola Godfrey, Dog Behaviour Practitioner Course Graduate, Kent. “Just wanted to wish you all the best for Chrismas and the New Year and say thanks again for helping me get an amazing start with my dog walking business. Waggy Walks has gone from strength to strength this year and last week I took on one last customer which makes me fully booked!! I’ve got Boxers, Labradors, a German Shepherd, a Spaniel called Colin(! ), an enormous Labradoodle and a little Border Terrier. What a mixture eh!! And most importantly I love every single minute of it 🙂 In the next few days or so I am planning to make a start on furthering my studies and enrol on one of your behavior courses.” Nicola, Professional Dog Walker course Graduate, Westhoughton, Lancashire. “I have enjoyed the course and have gained by doing it, so I will recommend it to others! It was nice to do a truly functional course that delivered exactly what it promised!” John, Fun Dog Agility Coaching Graduate, Sittingbourne. “Life is all about learning. The beauty of it is that once in a while, you learn something that is really useful, and this wonderful course is a great example of that. 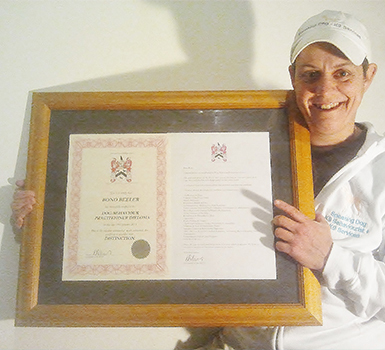 The knowledge that was provided is so useful and inspiring that it has fuelled the fire and jump-started my motivation to really go out there and turn my dream into a reality.” Roman, Fun Dog Agility Coaching Diploma Graduate, Israel. “I have attached a picture of myself and my first clients. I found the course inspiring, and a great confidence booster. A majority of the credit is owed to my fantastic tutor Dee, who proved to be very professional and incredibly supportive. I plan to utilise and expand on the knowledge the course has provided me with by expanding my dog walking business while also volunteering with friends’ dogs and at shelters when I can. This course has made me eager to gain a deeper understanding of the canine mind and I can’t wait to start the next one. 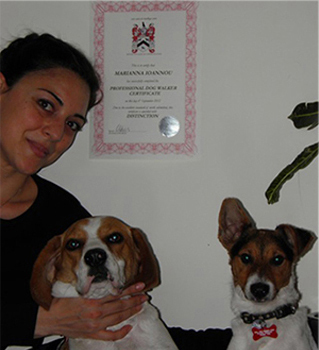 Thanks BCCS.” Marianna, Professional Dog Walker Certificate Graduate, Cyprus. “I would like to thank you for your help, support, guidance and knowledge throughout the course, which I have enjoyed immensely. The course was originally for interest but highlighted that I didn’t know as much as I thought that I did with regards to canines! Although I enjoyed the course, it has also been a massive help with my rescue dog in helping me understand things such as prey drive and fear aggression. I have had many compliments on how much Poppy has changed since I rescued her a year ago! Friends are astonished that she is a totally different dog in such a short space of time. 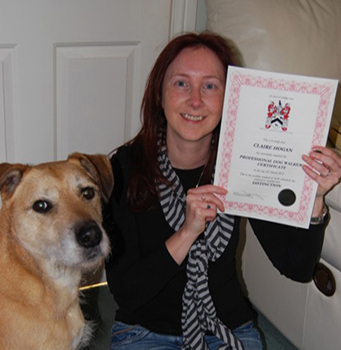 Many thanks again.” Melanie, Dog Behaviour Diploma and Canine First Aid Certificate Graduate, Suffolk. “I’ve done a few dog behaviour courses now. This one was different, the first one to take both sides of an argument and examine it objectively. There’s a lot of difference of opinion in dog training and behaviour and this course was a refreshing change.” Alison Whitehead, Dog Behaviour Diploma Course student, Australia.